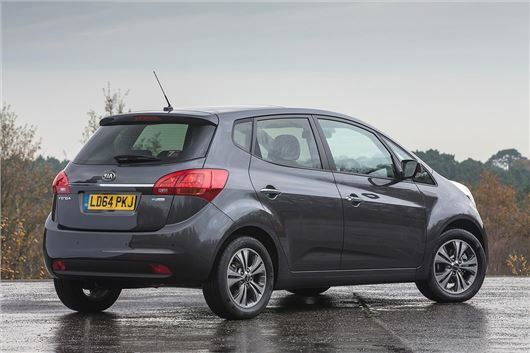 The lightly revised Kia Venga is available to order now, priced from £11,995. The updated model gets minor styling tweaks and improved equipment, plus a new top trim grade. The new ‘4’ grade gets a generous level of standard equipment including alloy wheels, a heated steering wheel, panoramic glass roof, heated seats, cruise control, keyless entry and a start button. All models get improved specification however, with electric front windows, tyre pressure monitor and electrically adjusted and heated door mirrors. ‘2’ grade adds alloy wheels, iPod connection, Bluetooth with music streaming, folding door mirror and reversing sensors. ‘3’ trim adds climate control, rear electric windows, cruise control and a speed limiter. Styling on all models has been lightly altered, with a new grille design, a repositioned Kia badge and new, sportier bumpers. The engine range remains the same as before, with a choice 90PS 1.4-litre and 125PS 1.6-litre petrol engines and 90PS 1.4-litre 115PS 1.6-litre diesel engines. The latter is the most efficient, with official economy of 64.2mpg and emissions of 117g/km.